Indian superstar Rajinikanth's latest movie 'Kabali' is set to release today (July 21) in the UAE before it premieres in India. Over 200 theatres across the GCC, including 100 screens in the UAE will show Thalaivar's movie. The online booking has received overwhelming response and many sessions are running house full. Rajinikanth is a sensational Indian actor who has fan followings all over the world. In 'Kabali', set in Malaysia, the superstar plays the role of a gangsters. The Asian expatriate community in the UAE is patiently waiting for the first-day-first-show. As 'Kabali' masks, 'Kabali' T-shirts and 'Kabali' car stickers are selling like hot cakes in India, several events are being organised in the UAE before the first show. "We were desperate to go for the first show but I don’t think I will get tickets now. Many theatres are fully booked till July 25, even then I am trying to get a ticket," said Rahna Khafoor, an Emirates Airline staff, who has been a Rajini fan for many years. Khafoor continued, "I saw the trailer and it is awesome. We are sure it will be a big hit and we are patiently waiting for it. Many of my friends are going to watch the movie together and it's going to be an amazing first-day-first-show." The official airline of 'Kabali' - Air Asia airline is flying a 'Kabali' aircraft with passengers from Bangaluru to Chennai serving specially curated Kabali meal to catch the movie. Chocolate brand Cadbury have also launched 'Kabali' products in the market. It is not just the Indian and Sri Lankan community who are caught up with the 'Kabali' mania. "I got calls from Pakistani friends who are great fans of Rajinikanth," said Juby Kuruvila, Managing Director, Equity Plus Advertisement, which will manage the event before the show. A huge hoarding has been put on the Dubai-Sharjah road and there are many activities linked to the movie release. Simbly South (club), had earlier organsied a 'Kabali' swag party which was a hit. "The IMAX theatre in Deira City Centre is fully booked for the first show in which many celebrities and supporters will be present," Juby Kuruvila added. "Rajini fans are coming in groups to buy bulk tickets and some of them are planning to put on 'Kabali' costumes. There are huge cut outs of the superstar on which fans are putting garlands and posing for pictures to express their jubilation,” said Rajan Phars from Bollywood Cinemas. "Most of the Tamilians are Rajini fans and they would like to watch his movie in the first show itself. Here we did not get a ticket in Vox Cinemas but we got a ticket in Sahara Center. I tried all Vox and Novo cinemas but they are fully booked. Normally we watch movies in Vox theatres and since there is no ticket we are going to Sahara," said Meera Krishnan, another Rajini fan. "There were no Rajini film after 'Linga' so his fans have been waiting eagerly for 'Kabali'. UAE theatres, in all the shopping malls, are full because of online booking and credit card purchases. Banks are also giving half price incentive. In our Bollywood cinema, tickets are available. The response to our advance booking has been good and we have sold around 1000 tickets. In both our theatres with 700 seats, we are showing only 'Kabali' for one week and in the second week, we will have only one show," Rajan Phars from Bollywood Cinemas. "It is a super movie and I am sure it will collect Rs 500cr (INR) within three days. I don’t generally watch movies on first-day-first-show, but this movie is creating an unprecedented hype and everybody is talking about it,” said Raynold Abraham, a Media Executive in Dubai. 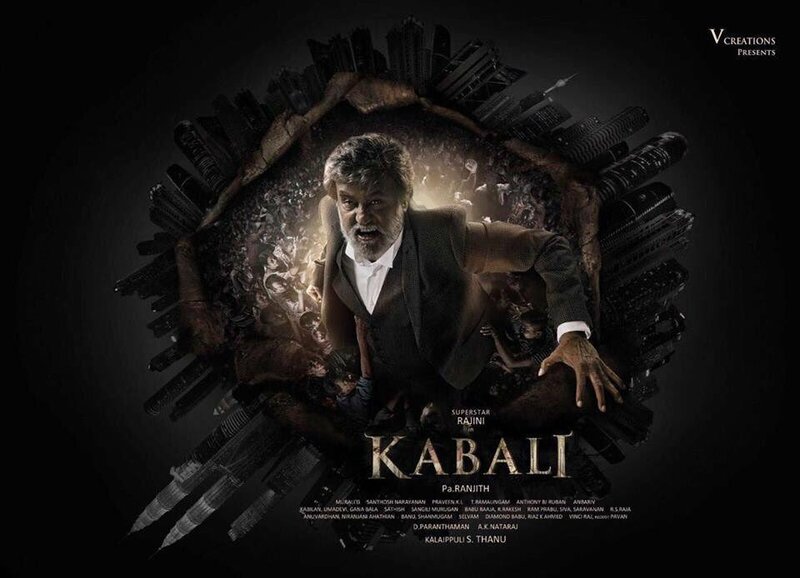 "Kabali is the talk of town in offices, cafeterias and public domains. I will be joining the Rajini fans to watch the first show and within first ten minutes we will see the response to the movie. No movies from Bollywood or Hollywood is generating such frenzy in the community," Raynold added. In Australia Rajini fans are holding flash mob performances, according to reports. 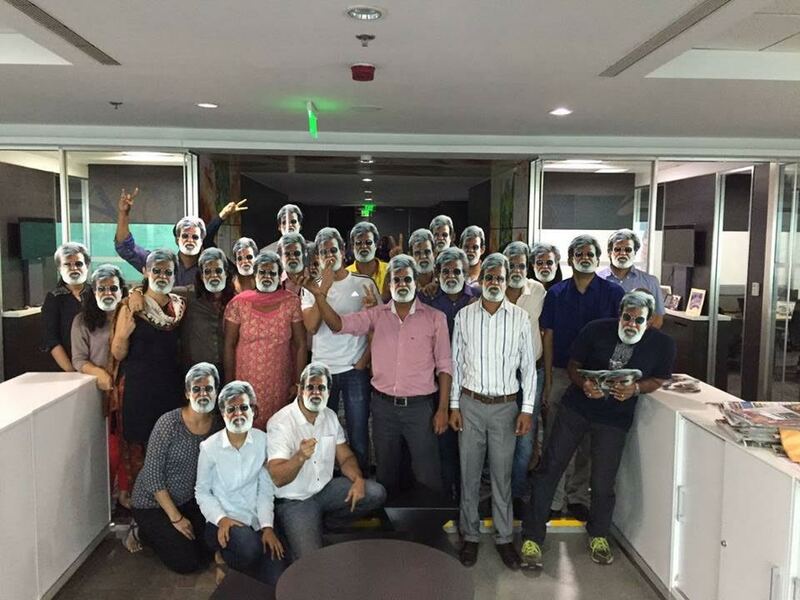 In India, the 'Kabali' frenzy has reached fever pitch. Movie posters adorn cars, motor-cycles and the social media is abuzz with everything pertaining to 'Kabali'. A car dealer in Chennai is selling custom made 'Kabali' Swift Suzuki cars on July 22, the day movie releases, while some companies have declared a paid holiday on the day of the premiere.